I can’t wait to graph the next medieval pattern. 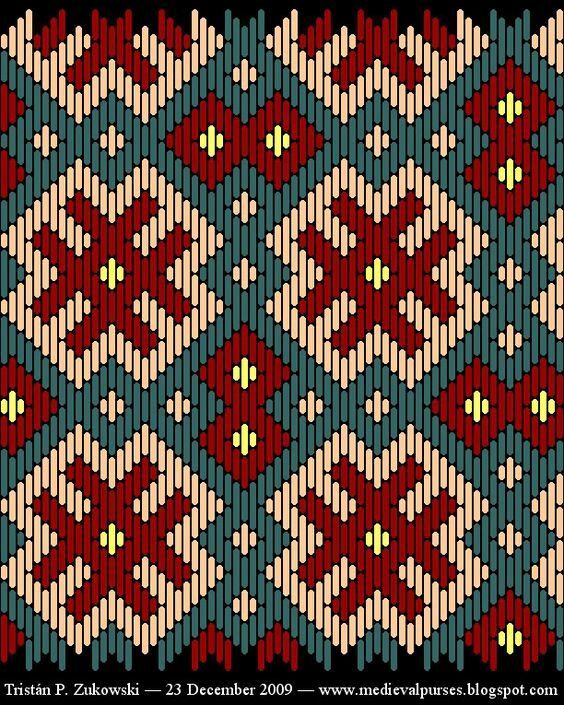 It’s a nice alternative to the typical Wayuu-inspired tapestry crochet patterns, don’t you think? *Please note that most of my patterns are made to be used with the modified single crochet stitch, including this one. So many patterns.. not enough time 🙂 Thinking of trying out this pattern? Let me know in the comments below! And follow me on Facebook, where you can share photos of your projects with me and your fellow crocheters. And if you have any questions, please feel free to ask away. Happy Crocheting! I Totally love this one. Amazing!! Aww, thank you Jessica 🙂 I actually just finished a bag using this pattern! Hi Rebecca, Thank you so much for all the tutorials and info. I have the process of carrying the yarns down just fine, but some patterns are not working for me even when I use the modified single crochet stitch. Such as a simple X pattern – the slant from left to right like this / is solid, but the the slant like this \ is broken up and not solid. What am I doing wrong? Thanks for any help. Hi Mary! This is actually a pretty common issue. This is why many patterns that use a MSC make shapes thicker than 1 stitch wide. So for an X shape, it may be 2-3 stitches wide instead of a single stitch wide, which helps the slant that goes this way \ to not be broken up. That broken up look actually happens in this pattern, but since it’s such a busy pattern, it’s not as noticeable. But if you’re making your own pattern, keep in mind that for slanted lines, you may want to make them a few stitches wide to prevent this from happening. With some projects I’ll crochet through both loops at the point in the pattern when I know this’ll happen, which connects the line without having the made the shape more than 1 stitch wide. But depending on what yarn you’re using, this might be more noticeable than leaving it the way it is. Hope this helps! Let me know if you find a good solution for you!